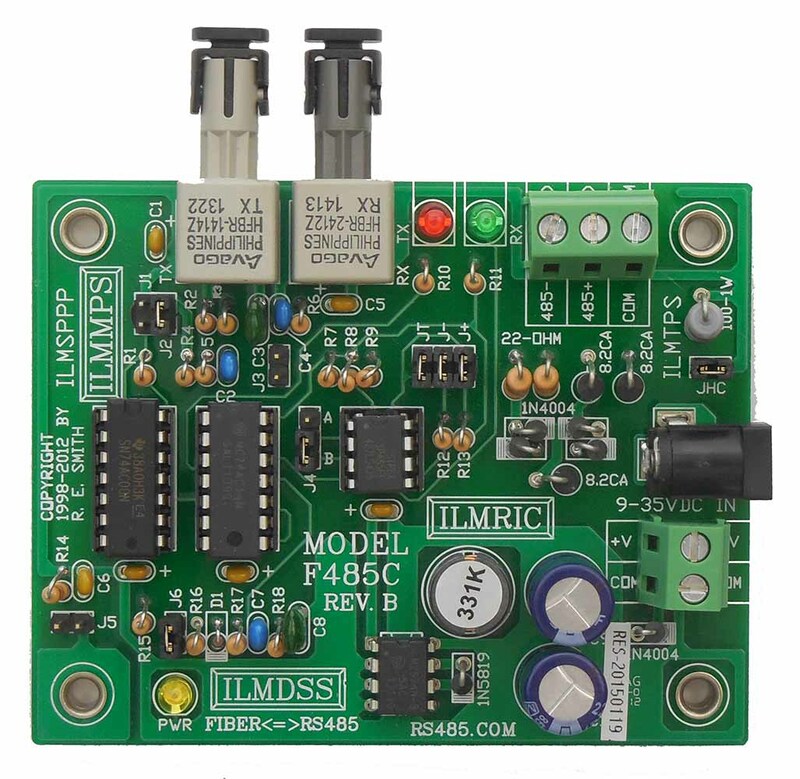 This unit features bi-directional serial conversion from 2 wire RS485 to a pair of ST 62.5 micron multimode ports. 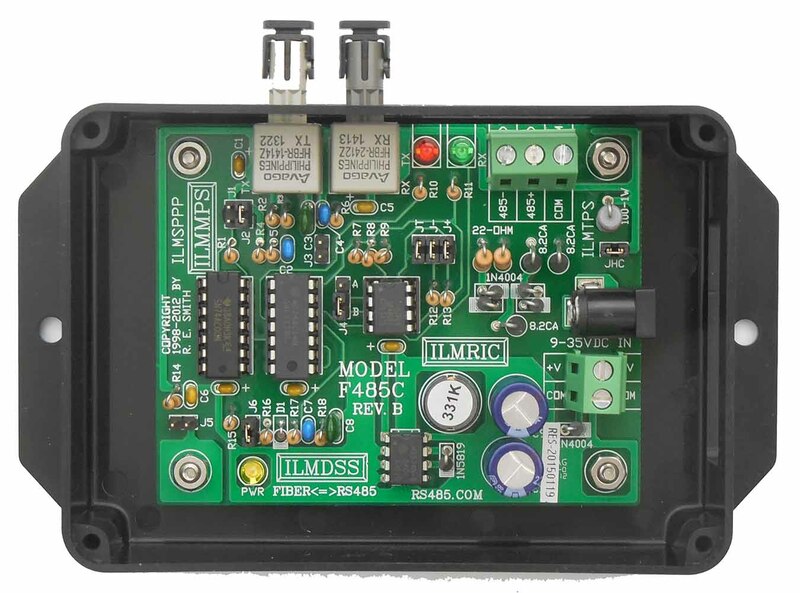 Functionally identical to the F485CT,at a reduced cost, for use in less harsh environments not requiring the internal opto isolation, nor the same level of driver protection. Yet maintains the fiber high isolation features. 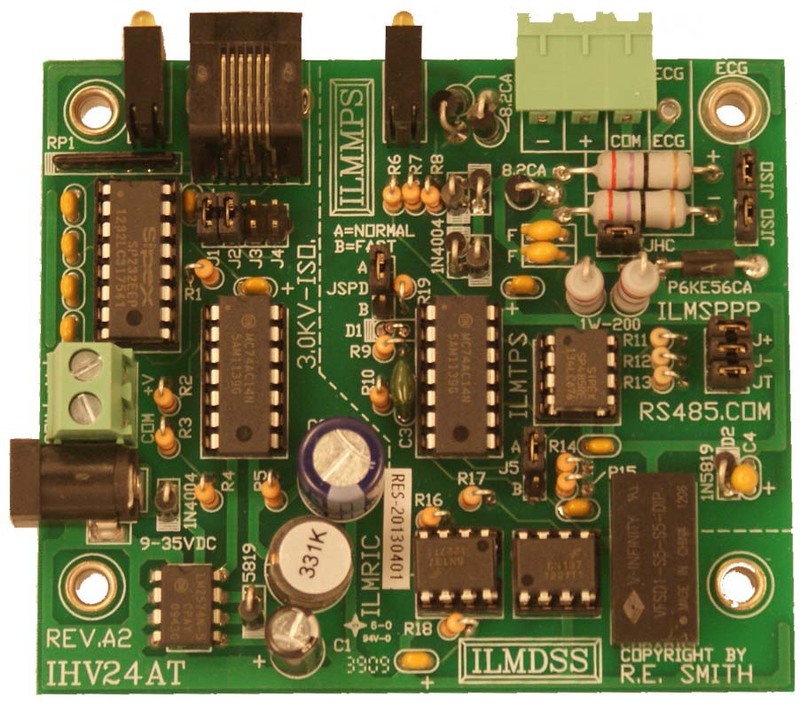 Capable of extending the range of a RS485 communications link to 1Km minimum, typically 1mile. 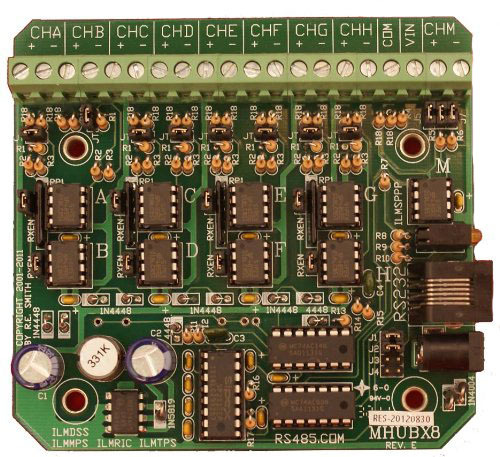 Fast auto turn-around, from transmit to receive mode, requires no software delays and eliminates timing problems and data collisions. Jumpers J6 can further shorten the turn-around time to accommodate fast responding target devices. 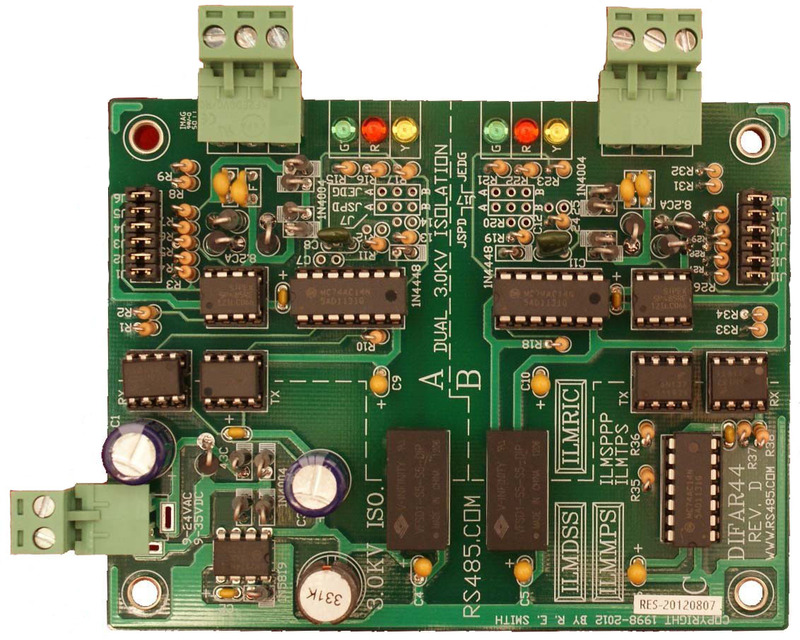 Jumpers permit the RS485 termination and bias resistors to be user configured. 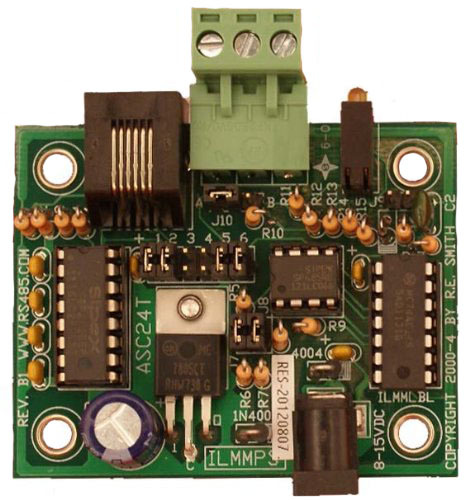 Jumper J2 allows the fiber transmitter power to be reduced to prevent overloading a fiber receiver in close proximity. 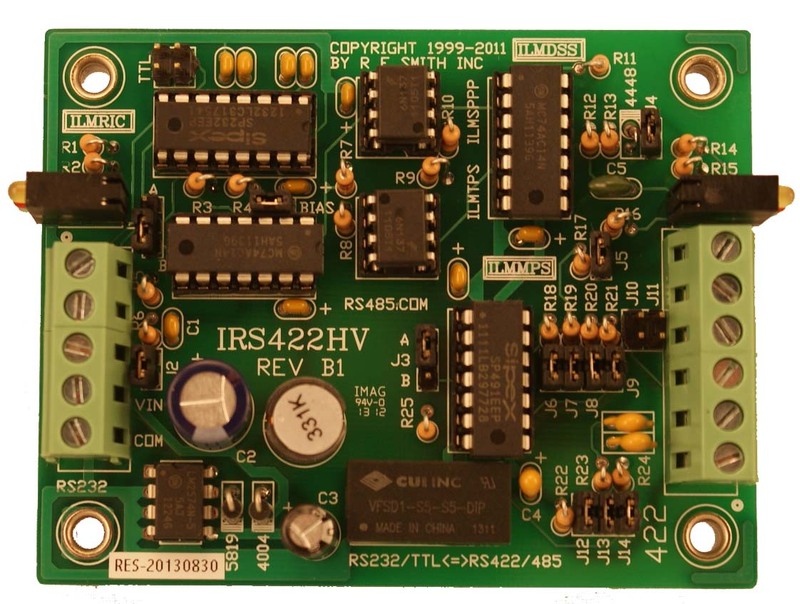 The robust RS485 driver, with series protection resistors, and a full wave transcient suppression bridge, provide protection, and allows 32 standard loads at 4000 ft. at all data rates. User connections are the two fiber ports, a 3 position removable screw terminal strip for the RS485 port, and a terminal strip and barrel connector for the input power. 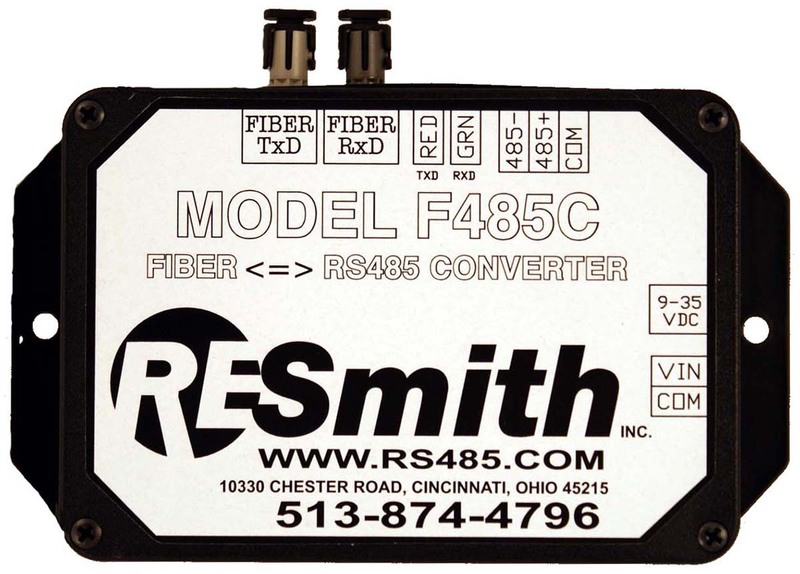 RS485: 3-position removable screw terminal strip. Distance: Fiber: 1Km Min, RS485: Up to 4000 ft. 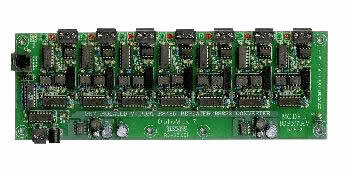 Size: 2.50" X 2.00" X 0.9" (PC Board), with connectors: 2.50" X 2.15"